This post is very similar to the previous post with the Neuro beverage shot. I challenged myself again with a curved bottle, but also a bottle that is extremely dark in color. The lighting setup was almost the same; two strip boxes on either side and to the back to create the highlights down the side of the bottle. However, instead of just some reflectors in front to add light to the front I boomed a light with a grid above the bottle to light the label. 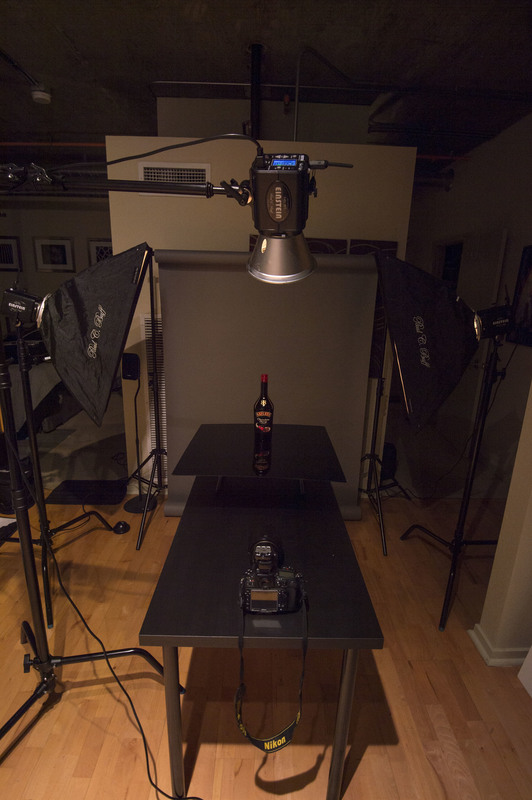 The behind the scenes shot is done with the bottle sitting on black plexiglass, however the shot that I chose to finish was done with the bottle sitting on white.